Some Chevrolet Colorado ZR2 owners are experiencing their airbags deploying while off-roading. 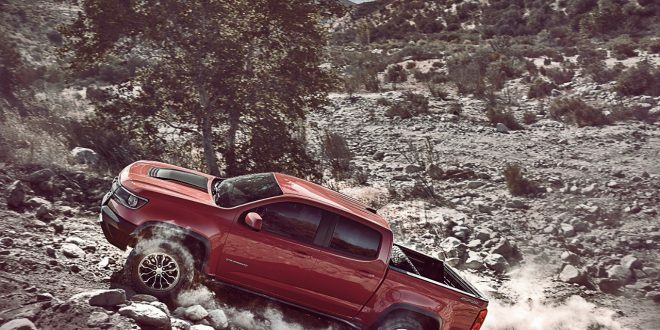 Off-roading, of course, being what the truck is designed and marketed as doing best. Jalopnik uncovered the situation after the publication found several videos online showing the circumstances in which the curtain airbags are deploying. In most cases, it appears the truck was undertaking some light off-roading and tilting to one side. Nonetheless, the curtain airbags deployed even though the actual risk of a rollover appeared minimal. Perhaps there is no actual malfunction on these trucks, but it is possible the rollover sensor is calibrated to be too sensitive. Though Chevy’s statement does not imply the company feels the same way about the sensor just yet. For now some owners are removing the airbag fuse, cutting power to the system to mitigate the risk of the airbags deploying unnecessarily. Of course, pulling the fuse is putting the occupants at risk in the event the truck actually does have a rollover. This was a casualty I witnessed today. The only one that I took video of on this trail, on one of the most difficult obstacles we did on our level trail ride. They made it all the way to the top, and something caused the airbags to go off. That’s the pop you hear, and the woman screams. That’s gonna be an expensive repair bill…. This also happened to a guy driving a Camaro on the a race track. I believe there is a video on YouTube. In reading the story it is as I figured, most likely overly sensitive sensors or such.